Bixby Land Company Acquires The Steele Building in Seattle, Wash.
NEWPORT BEACH, CA and SEATTLE, WA--(Marketwired - Jul 14, 2016) - Bixby Land Company, a Newport Beach, California-based investor, has made another industrial investment in the Pacific Northwest with the purchase of The Steele Building, a newly-constructed warehouse and distribution building in the Kent Valley sub-market of Seattle. Bixby purchased the 206,463-square-foot building from Panattoni Development Company for $24 million, or $116 per square foot. Located at 1565 Fryer Avenue in Sumner, Wash., the building was completed earlier this year and is 100 percent leased to Dometic Corporation and Marine View Beverage. "Bixby Land is firmly committed to expanding its footprint in the Seattle market," said Mike Severson, senior vice president of investments at Bixby Land Company. "This is our third industrial acquisition in the last six months in Seattle, and we are looking to add to our investment portfolio there." The acquisition was attractive to Bixby due to the location in Kent Valley, where the industrial market is five percent vacant and land prices are on the rise due to the shrinking availability of developable industrial sites. Separately, the building is in the process of achieving LEED Silver certification for superior energy efficiency standards and the use of eco-friendly building materials, another compelling case for Bixby's investment. 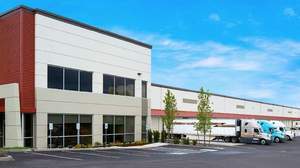 "This purchase furthers our investment activities in core industrial properties in primary West Coast markets, Arizona and Nevada," added Severson. Bixby seeks leased, institutional grade industrial investments in the $5 million to $50 million range. Brett Hartzell and Taylor Odegard at CBRE represented both parties in the transaction.